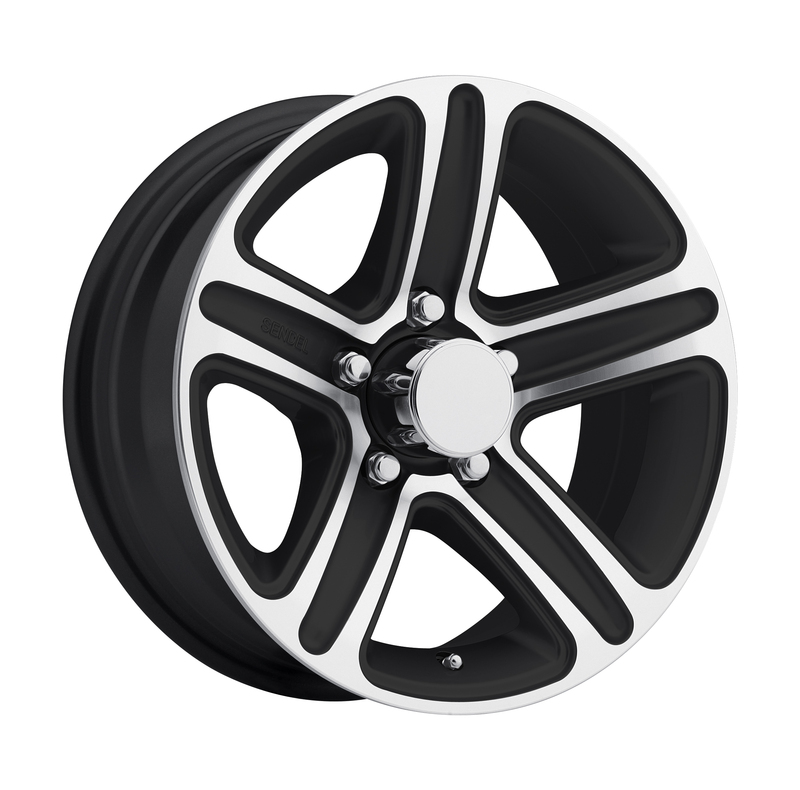 15" Aluminum Type T09 Black Trailer Wheel. 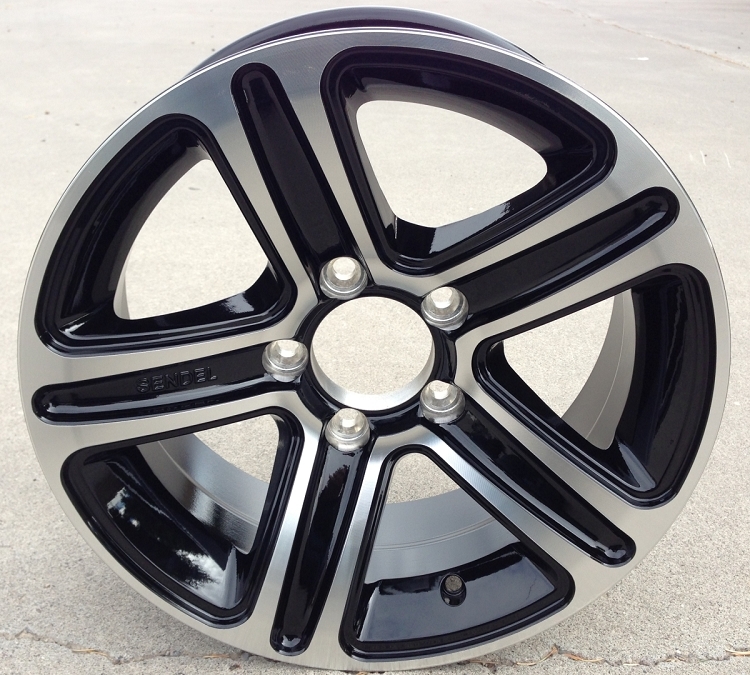 The exact size is 15" x 6" 5 lug on 4.5" / 114.3mm bolt pattern. Max load is 2150 Lbs per wheel. Zero Offset. This listing is for the wheel only. Most common tire sizes mounted on this wheel are 205/75R15, 205/75D15 (F78-15), 225/75D15 (H78-15) and 225/75R15.